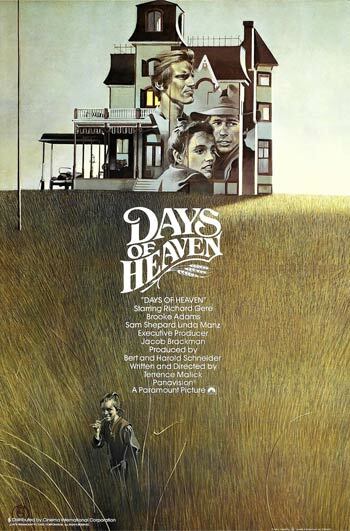 Days of Heaven – 40th Anniversary! This film is a part of a Double Feature with The Last Picture Show. When two movies that are screening in the same theatre are grouped under the same thematic heading, one ticket is good for both features when viewed back-to-back on the same day (except as noted). Richard Gere, Brooke Adams, Sam Shepard, and Linda Manz.